This one’s for you, Matt! 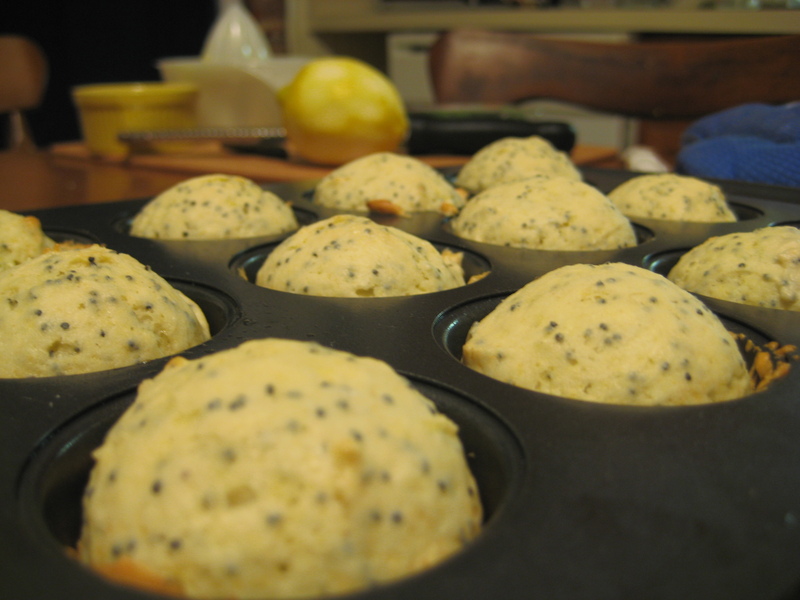 Last week, I was the muffin woman when I took on a new muffin adventure: lemon poppyseed muffins. Preheat the oven to 375 and grease yo’ muffin cups. This batch made me 12 mini muffins and 8 normal sized ones, but you can always grease extra spots and leave them empty. Mix together the flour, baking powder, and salt with a fork (or sift it if you’re nifty like that). 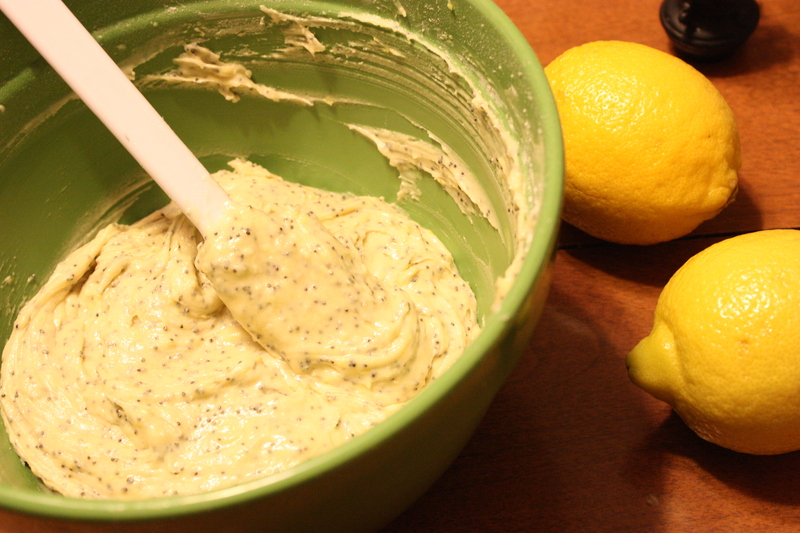 In a separate bowl, mix together butter, oil, zest, and sugar with an electric mixer. If you don’t have one, no worries – do your best by hand! Mix for about 2 minutes, until creamy. Add one egg at a time to the sugar mixture, beating well. Fold in poppy seeds. Gradually add in flour and milk, alternating between the two ingredients so the mixture never gets too wet or too dry. Spoon the mixture into muffin cups and bake 12 minutes for mini-muffins, about 20 for regular sized ones. These are great fresh or frozen and reheated. They go really well with almond butter and a cup of tea. I think next time I serve them fresh, I’d like to add some lemon frosting on top to make them even sweeter. Yum! The root of this recipe came from here, with my modifications to make it easier (and lower in fat) for the practical cook. And yes, I do know that this video is a little weird. You would be shocked at how hard it is to find a clip even this good online!